It's up to each of us to make the choice to change. It's those choices and seeing them through that will help us achieve our goals. 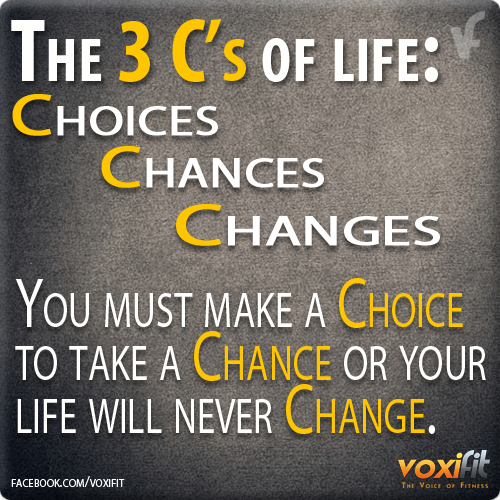 What choices are you making today?